Carpe diem & all that jazz. May 5th brings another cross quarter Day…the midpoint between the spring Equinox when night equals day….and the summer solstice when day is its longest. 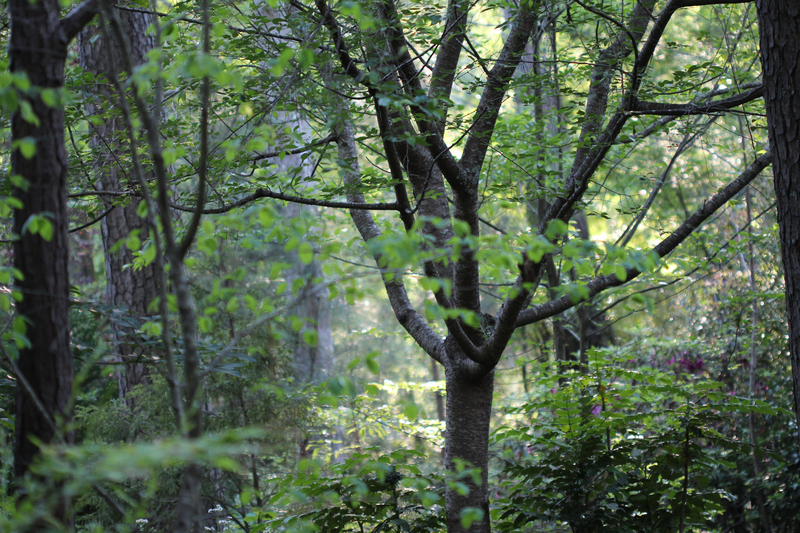 In my Georgia garden…May descends with a “curtain of green”….in the words of Eudora Welty. Another southern writer…whose name I wish I could recall…wrote of verdant Mays in Georgia by saying…the world seems so full it can’t possibly contain it all. I think of that every year….when the young trees we have planted put out their new year’s growth…and jostle each other for position. Time to do a little judicious pruning to accommodate the future…a little refereeing. But carefully…this is the National Wildlife Federation‘s “Garden for Wildlife” month. There are a myriad of unseen small homes in this picture.